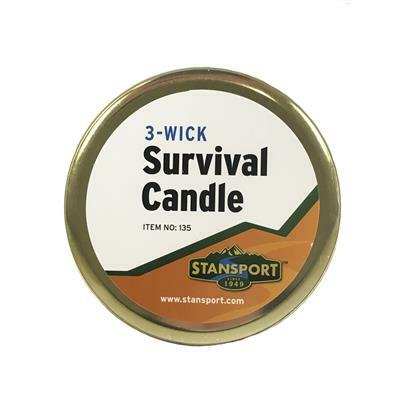 3-wick Survival Candle provides up to 36-hours of light and warmth. The 3-Wick Survival Candle is a practical addition to your emergency kit, camping supplies or hiking pack. These lightweight candles provide temporary lighting during unexpected power failures, roadside emergencies or while camping. 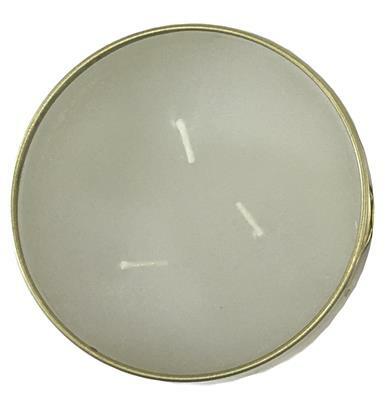 Features 3 separate wicks to control the amount of light and duration of the candle. With one wick lit, the candle burns for 36 hours. With 2 wicks lit, the candle burns approximately 12 hours. 1 candle: 8.25" x 5" x 1"
One wick lit burns up to 36 hours. Three wicks lit burns up to 12 hours. Don't have to rely on batteries for light. Instructions: Light candle with match or lighter.